Sen. Jeff Merkley, 313 Hart Senate Office Building, Washington, DC 20510. Phone: 202-224-3753. Medford office: 10 S. Bartlett St., Suite 201, Medford, OR 97501. Phone: 541-608-9102. Email: Go to website merkley.senate.gov and click on "Email Jeff." Sen. Ron Wyden, 221 Dirksen Senate Office Building, Washington, DC 20510. Phone: 202-224-5244. Medford office: 310 W. Sixth St., Room 118, Medford, OR 97501. Phone: 541-858-5122. Email: Go to website wyden.senate.gov and click on "Contact." Rep. Peter Defazio, 4th District, 2134 Rayburn House Office Building, Washington, DC 20515. Phone: 202-225-6416. Roseburg office: 612 SE Jackson St., Room 9, Roseburg, OR 97470. Phone: 541-440-3523. Email: Go to website defazio.house.gov and click on "Contact Peter." Rep. Greg Walden, 2nd District, 2185 Rayburn House Office Building, Washington, DC 20515. Phone: 202-225-6730. Medford office: 14 N. Central Ave., Suite 112, Medford, OR 97501. Phone: 541-776-4646. Email: Go to website walden.house.gov and click on "Contact Greg." Rep. Carl Wilson represents District 3, which includes most of Josephine County. Email: rep.carlwilson@oregonlegislature.gov. Mail: 900 Court St. NE, H-390, Salem, OR 97301. Phone: 503-986-1403 (Salem), 541-476-7896 (local). Rep. Duane Stark represents District 4, which includes eastern Josephine County and western Jackson County. Email: rep.duanestark@oregonlegislature.gov. Mail: 900 Court St. NE, H-372, Salem, OR 97301. Phone: 503-986-1404 (Salem), 541-237-9851 (local). Rep. David Brock Smith represents District 1, which includes Curry County, portions of western Josephine County and sections of Coos and Douglas counties. Email: rep.davidbrocksmith@oregonlegislature.gov. Mail: 900 Court St. N.E., H-379, Salem, OR 97301. Phone: 503-986-1401 (Salem), 541-366-2015 (local). Rep. Gary Leif represents District 2, which includes northeast Josephine County, northwest Jackson County and southern Douglas County. Email: rep.garyleif@oregonlegislature.gov. Mail: 900 Court St. NE, H-386, Salem, OR 97301. Phone: 503-986-1402. Sen. Herman Baertschiger Jr. represents District 2, which includes most of Josephine County and a western portion of Jackson County. Email: sen.hermanbaertschiger@oregonlegislature.gov. Mail: 900 Court St. NE, S-403, Salem OR 97301. Phone: 503-986-1702 (Salem), 541-787-1702 (local). Sen. Dallas Heard represents District 1, which includes northern Josephine County, northwest Jackson County, southwest Douglas County, southern Coos County and all of Curry County. Email: sen.dallasheard@oregonlegislature.gov. Mail: 900 Court St. NE, S-315, Salem OR 97301. Phone: 503-986-1701. President Donald Trump, The White House, 1600 Pennsylvania Ave. NW, Washington, DC 20500. Citizen comment line: 202-456-1111. Email: Use the comment form on the website at whitehouse.gov/contact. Gov. Kate Brown, 160 State Capitol, 900 Court St., Salem, OR 97301. Governor’s citizen message phone line, 503-378-4582. Fax: 503-378-6827. Email: Use form on the website at governor.oregon.gov. Dwight Faszer II, 541-441-2103, dfaszer@grantspassoregon.gov. Commissioners Darin Fowler, Lily Morgan and Dan DeYoung, 541-474-5221 ext. 2, or write them at Room 154, Josephine County Courthouse, Grants Pass, OR 97526 or email them at bcc@co.josephine.or.us. District Office, 725 N.E. 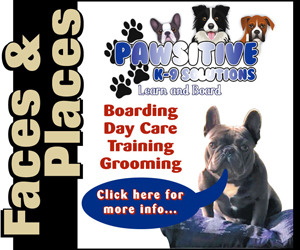 Dean Drive, Grants Pass, OR 97526, 541-474-5700. Board Chair Richard Ward, rward@grantspass.k12.or.us. District Office, 8550 New Hope Road, Grants Pass, OR 97527, 541-862-3111. Board Chair Kate Dwyer, kate.dwyer@threerivers.k12.or.us. District Office, 1898 East Evans Creek Road, Rogue River, OR 97537, 541-582-3235. Board Chair Robert Hileman, robhileman3@gmail.com. District Office, 10598 Azalea Glen Road, Glendale, OR 97442, 541-832-1761. Board Chair Caroline Lydon, caroline.lydon@glendale,k12.or.us.